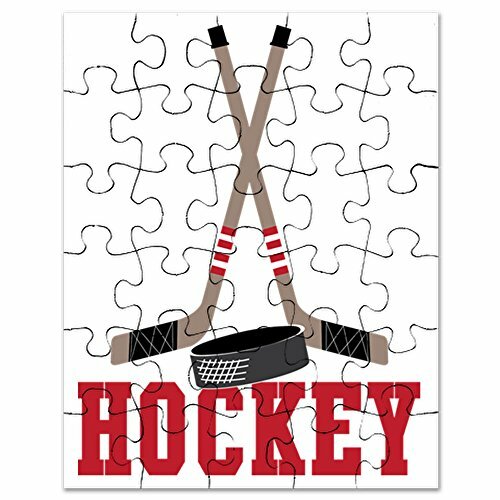 Kids sport toys > Products > Sports > Hockey > CafePress – Hockey – Jigsaw Puzzle, 30 pcs. Our jigsaw puzzle is a unique and fun gift for friends and family or even a present to yourself. Each puzzle is professionally printed and comes with a matching photo box for easy storage. 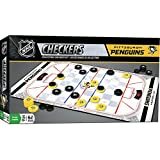 Contains 30 puzzle pieces and measures 7.5" x 9.5" fully assembled. CafePress brings your passions to life with the perfect item for every occasion. With thousands of designs to choose from, you are certain to find the unique item you've been seeking. 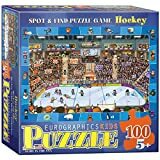 This jigsaw puzzle is a unique and fun gift for friends and family or even a present to yourself. Once assembled, the puzzle can be framed and displayed or taken apart and reassembled over and over. And with CafePress, your satisfaction is always our promise...buy with confidence, as we offer easy returns and exchanges and a 100% money back guarantee.